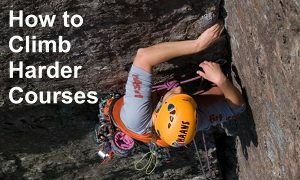 So a new course I am offering is a rapid rock climbing development course with a difference. 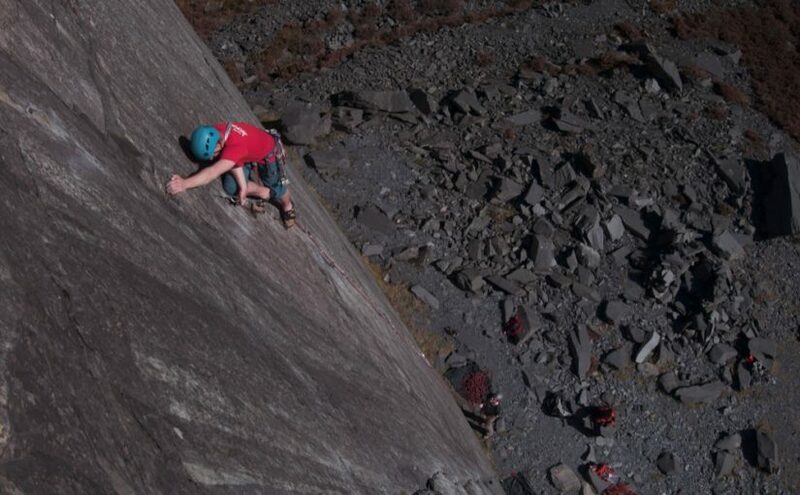 As rather than stay based in one location we up sticks and go on a UK Trad Climbing Tour. So if you want your climbing to improve rapidally? This month long UK Trad climbing tour of the greatest climbing routes and destinations will make a really difference to your fitness and confidence. This is a truly unique course to get out there and experience the very best climbing that the UK has to offer. This month long course will open your eyes to the adventures on our shores. With a month of coaching and guiding means your climbing will improve dramatically. Whether you are climbing Diff or Extreme grade routes the opportunities are as boundless as the cliffs. As we embark on this epic 4 week road trip, you know that you will come out the other side a different person, revitalises and ready for your next adventure. So this Autumn and Winter coming I am starting to offer a few Sun Rock Holidays. 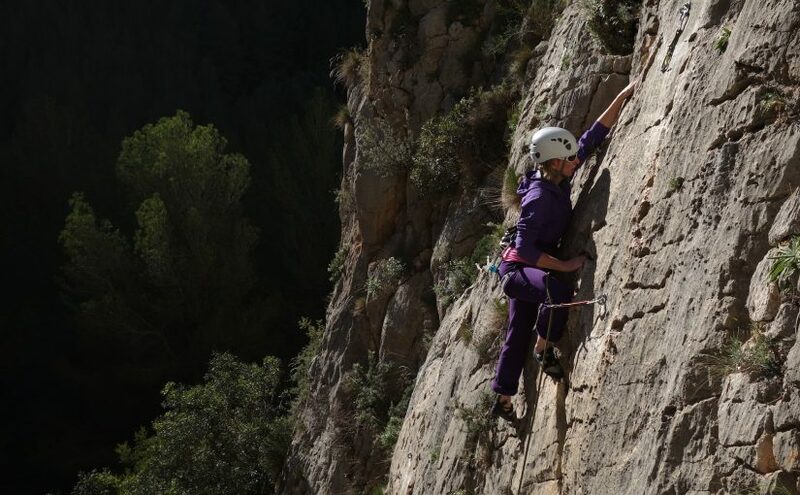 I am doing this as i the last few years I have travelled Spain working at a variety of climbing venues and these are the very best places that I have found for catching a few winter rays of sunshine and or course climbing some classic swainish rock. This Picos De Europa Climbing Holiday is a great way to experience the best trad and sport climbing in this magical region of Northern Spain. 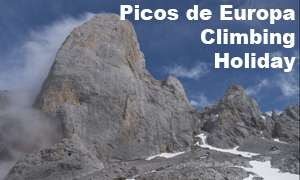 The Picos De Europa is an amazing place to climb, the area has some spectacular limestone crags with a variety of single and multi pitch sport climbing as well as some amazing trad routes in the Higher Picos. The main peak a gigantic limestone dome is ‘Naranga Del Bulnes’ and as well as having some harder routes also sports one of the most staggering Hard Severe routes in the world. The South Face climbs all the way to its amazing summit. 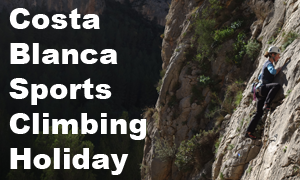 Come and join us as we bask in the winter sun on our amazing 7 day Costa Blanca Sports Climbing Holiday. Winter is rapidly approaching you have resigned yourself to a winter of indoor climbing. Why is that? Alicante is often only £50 return to fly to, it is sunny and warm throughout the winter and we are running sport climbing holidays there. What more could you ask for to wash away those winter blue by feeling the sun on you skin. 7 Day – £800 – (Available throughout September). 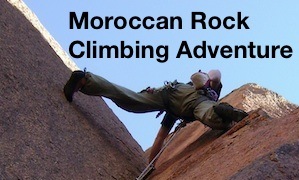 Back in 2003 I had a delightful trip away to Morocco with 8 friends, we spent a month climbing in both Trafroute in the Anti-Atlas and Todra Gorge. We trad climbed, sported climbed and bouldered. Took an adventurous Land Rover ride off road from one venue to another and generally had one of the times of my life. One of those freinds was Simon Lake, who is also now a Mountaineering and Rock Climbing Instructor and together we are really keen to runa week or two trip that I can truly say is one of the best climbing/travel adventures you’ll ever have. As the author of How to Climb Harder’s I will be running a weekend course that is aimed at covering the same set of skills that made the book so popular. This two day How to Climb Harder course will look holistically at all aspects of climbing from the mental, physical, tactical ad technical challenges we all face on the rock. The course is run by myself, with over twenty years experience as an rock climbing instructor and coach. Holder of the nationally recognised Mountain Instructor Award and a Master degree in applied sport science. I have a thorough knowledge of experience of Effective Coaching, Sports Psychology and Performance Physiology. I have used this to onsighted climbs up to E6 and 7b and I still climbs and train regularly. All this experience and more from the rock faces around the world went into writing How to Climb Harder and is now be used to deliver a unique weekend rock climbing course that will find and address your weaknesses and help you climb harder. For more information visit Snowdonia Mountain Guides – How to Climb Harder Page. About two years ago now I decided to stop blogging for a while and start making short videos of my travels. When I got back I stayed away as I was busy with all sorts of stuff that life throws at you. Hopefully my life has calmed down and I am now back to work in North Wales for a while. As such I thought I would start blogging about my life and work again. Albeit less intensely than before. So in the last year I have worked about 8 months in spain, travelled the world and had a lot more important things to deal with than this blog. I am now back looking to promote my little business and hopefully from time to time say something interesting. Posted on 13th January 2017 Categories UncategorizedLeave a comment on Back in the Room…. To me these two groups offer two ends of a sponsorship spectrum one the extremely talented and cutting edge climbers on the dawn wall and as some have argued Sierra the Model. Whatever end you are at the only reason someone is sponsored is that they are essentially there to promote the sales of the companies products. If you can show a company that you can help them market and sell their equipment through the media coverage you get from either ability, looks or the social media clout you possess then good for you. The times they are a changing. Twitter, instagram and Facebook are changing the way companies market themselves. Why pay money for an advert when you can launch some news, photos or video that go viral. By complaining one way or another the critics are fuelling the fire of the viral marketeers. So yes the face-ter-gram generation is all about followers, how you get them comes down to more factors than ability and yes looks do count. The fact that sierra markets herself very overtly as a good looking climber I think makes people uncomfortable. Just remember rather than her, hate the game and not the player! If you think climbers are stupid enough to fall for the dashing good looks of one climber over another. Then I would think again, the majority I seem to know are amongst the most picky shoppers in the world. Many have brand loyalty that go back years. They will research ever purchase to death as nothing is cheap these days so better to buy once. Check out this video by Epic TV, if you want to see how borderline sexist some of the media are in reporting on Sierra. So I decided to make a short video reflecting on my home of Llanberis and all that I am about to leave behind. The friends and climbs that have been part of my life for so long. It already feels weird having not been there for over a month. If you’d like to get each episode as and when it comes out then try like Snowdonia Mountain Guides on Facebook or subscribing to my channel on youtube. So over the last few weeks I have been hanging out down south with my mum waiting to leave on what can only be described as trip of lifetime. I have been busy putting the final things together for the south american leg of my plan to go Round the World in 40 Climbs. Where I hope to chart the ascent of man. Five Ten UK had already signed up by giving me some approach and rock climbing shoes. Whilst I was in Bournemouth I have been training at the Project Climbing Centre and trying to get outside climbing. Through a tweet, I came across Sam from Hangar 18, and after meeting up for a climb he asked about my plans. I of course bored him with my story of telling the story of the history of climbing, interspersed with teaching climbing in really cool places. He seemed to think the idea worthy of supporting and offered me a new lightweight down jacket and a hoodie. He dropped them off this morning and I have to say that the down jacket is awesome. Hangar 18 – Off Road Running’s kit is all about lightweight design and the jacket packets down really small. It is also truly reversible so can be either black or red . So it is idea for travelling round the world. The hoodie is another great piece of clothing and will hopefully really stand out in the videos as the logo is fairly bold. Another great thing happened this week, I spoke to Climber Magazine, who were keen for me to write a few more Evolution of Climbing Articles before moving onto another historically focused column that ties in with my travels. So if you know a climbing instructor or avid climber then buying them a present can be a difficult if you don’t understand the sport. They will appear to have everything they need to climb. So you need to go under their radar and come up with something novel and not necessarily expensive to help. First off it they are working towards a MIA or into multi-pitched climbing. Maybe they have a climbing assessment in North Wales, are working or planning a climbing trip there. Then why not either print off or simply send them a link to the Craig List – A list of great route for Climbing Instructors in North Wales. If you want to really help them out and can spend a few quid then maybe consider buying them a copy of North Wales Climbs. A guidebook that cover virtually all of the routes on the list, and a must have for any climber heading to North Wales. If that is too pricey then maybe consider getting them a book about the Nature of Snowdonia. As it is not really well known but as part of the syllabus for instructor qualifications there are elements of access and conservations. This book by Mike Raine is the veritable bible of nature in not only North Wales but most upland areas in the UK. Don’t underestimate the environmental leanings of a normal climber either, we all enjoy the outdoors for a variety of reasons, getting scared on a rock face is just one of them. Another area interest is the history of climbing. Whilst it is a broad topic one book. Hanging By A Thread has managed to capture the near complete history of rock climbing and mountaineering in one volume. A sort of idiots guides to the history and technology of climbing. If you want some free help then I recommend visiting archive.org and search mountaineering. There are many different historic mountain climbing texts from before 1900 there. One in particular you can look for is Scrambles in the Alps by Edward Whymper, available as a PDF or kindle format, it tells the story of the first ascent of the Matterhorn, a first edition is worth £700+, you can send a digital copy for free! Wanderings Amongst the High Alps is another. If you ever wonder how to go about teaching or coaching climbing then maybe consider Effective Coaching (kindle, iPad, print) and How to Climb Harder. Another great way for a present to keep on giving throughout the year is to subscribe the climber to a climbing magazine like Climber. Another outside the box idea is booking your friend into a B&B or bunkhouse somewhere in the UK so they can get climbing for themselves for a change. Ideal areas for multi pitched climbing are Llanberis in North Wales, Ambleside in the Lake District, Land’s End in Cornwall, or Glencoe in Scotland. 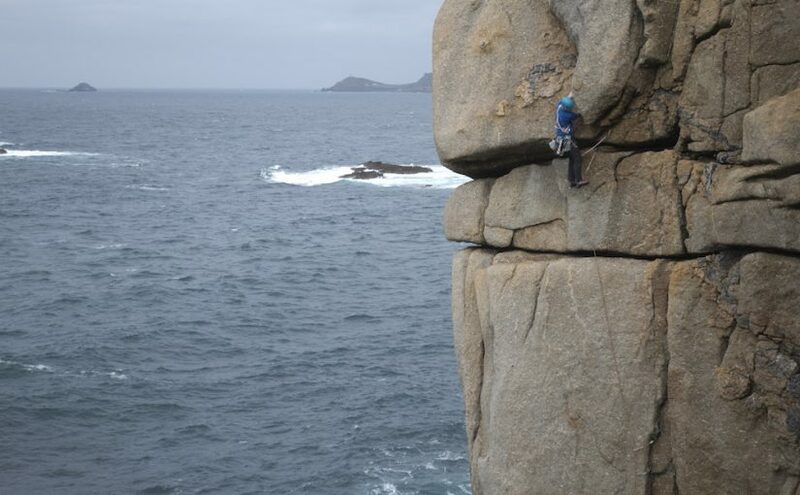 If they are into single pitch or sport climbing then maybe North Wales, Hathersage in the Peak District, Swanage for Portland and Swanage or St David’s Pembroke. The other alternative for a climber is a map to a new area or a guidebook. Although guidebooks are quite expensive a map can cost as little as £10. Any of the places I have mentioned will suffice but maybe think of some of the more remote places. Like Torridon, Skye or Knoydart in Scotland, these places are among the more adventurous destinations in the UK. The final ideas are small but random gifts any climber would like. So why not buy 3m of 5mm prussic cord and cut it in half so they can make two prussic. Will cost less than a fiver and be of great use to them. Or something as simple as a block of chalk we be well received. A little more expensive but a real lifesaver for the climbers phone is a waterproof pouch. If you climbing friend has stinky feet then maybe go for the boot banana shoe deodoriser. Maybe just getting them another carabiner, something along the lines of the sentinel screw gate from DMM is a sure fire way to put a smile on there face. Failing all of that, if you want to make a big statement, then find out which climbing wall they use the most. The short days, bad weather and long nights mean they will be going to the climbing wall a lot during the winter. Most wall allow you to buy a 10 entry ticket of a coffee and a climb voucher. So I had several requests to turn this into a printed book. After playing around with how to best lay out the book, as it has a few diagrams in I managed to finish it.